Middlesbrough are likely to be without Victor Valdes for three games as the FA will surely punish the Spanish goalkeeper retrospectively after he twice struck Dele Alli in the face this evening. The incident occurred midway through the first half of Tottenham Hotspur vs Middlesbrough, moments after Alli had fired a shot into the side-netting of Valdes’s goal. 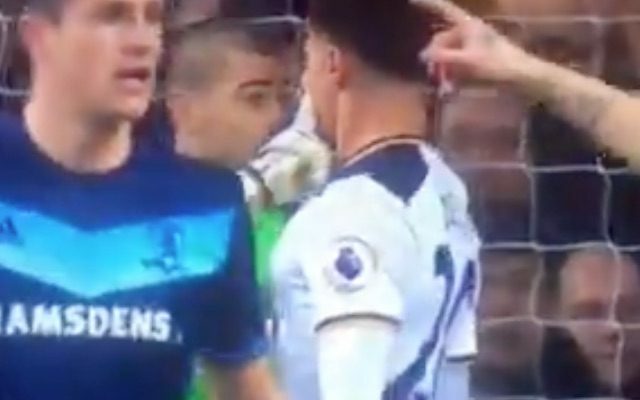 It is unclear what motivated Valdes to attack Alli, but he did so twice – first by grabbing his face and then poking it. The referee clearly did not see the incident as no card was issued, but it would be a big surprise if Valdes escaped a suspension for violent conduct when the day’s action is reviewed next week. Alli stayed on his feet throughout, which perhaps helped Valdes stay on the pitch. Had the Spurs man gone down and drawn the ref’s attention towards the six-yard box, maybe the linesman would have been consulted and told Mark Clattenburg to produce a red?